Robert Pattinson first auditioned for the role of Edward Cullen in the home of "Twilight" director Catherine Hardwicke alongside his future co-star and love interest Kristen Stewart. 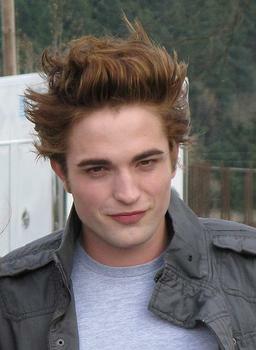 Four books and almost five films later the "Twilight" phenomenon has transformed both young actors into Hollywood stars. From the romance that captivated Twihard fans the world over-- here is a look at Edward's top ten "Twilight" quotes. "They have a name for someone who smells the way Bella does to me. They call her my singer—because her blood sings for me." "Well, I’m nearly a hundred and ten. It’s time I settled down." "If there was only some way to make you see that I can’t leave you. Time, I suppose, will be the way to convince you." "You will always be the most beautiful thing in my world. Of course… If you outgrew me—if you wanted something more—I would understand that, Bella. I promise I wouldn’t stand in your way if you wanted to leave me." "Before you my life was like a moonless night. Very dark, but there where stars - points of light & reason. And then you shot across my sky like a meteor. Suddenly everything was on fire, there was brilliancy, there was beauty. When you where gone, when the meteor had fallen over the horizon, everything went black. "I can see you where you might confuse me with a nightmare, but i can't imagine what you could have done to wind up in hell?" "Look after my heart---I've left it with you." "Dont be offended, but you seem to be one of those people who just attract accidents like a magnet. So try not to fall into the ocean or get run over or anything, all right?" "You should probably know I'm breaking the rules right now. Well, not technically, since he said I was never to walk through his door again, and I came in the window... But, still, the intent was clear."